Specifically the new characters. Plus messages from the VAs. “Yu-Gi-Oh! VRAINS” New Character & Cast Big Introduction!! The animated series “Yu-Gi-Oh! VRAINS” (which airs on TV Tokyo every Wednesday at 6:25 PM), will begin its new chapter in April! So we’ll be introducing the new characters! And we’ll be delivering messages from the cast voicing the new characters!! A young boy with the same uniform as Yusaku. In “LINK VRAINS”, he transforms into the flame themed avatar “Soulburner”! Look forward to seeing how he interacts with Playmaker! When I was in elementary school, the boys there were into the “Yu-Gi-Oh!” card game. 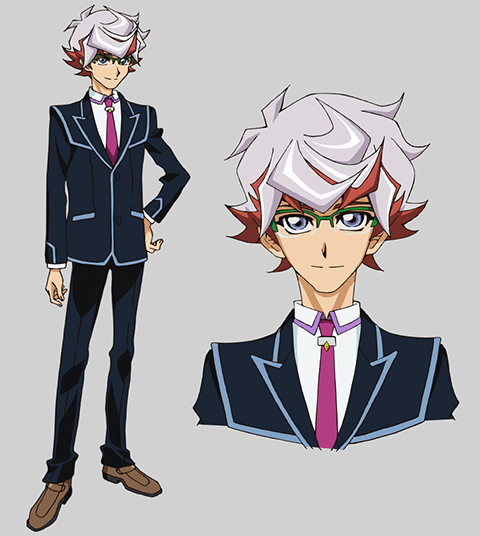 So I feel honored being given the chance to voice the new character, Homura Takeru! As a cast member, I’ll do my best in this show to give children something to dream about! Please wait to see my scorching hot Duels!! One of the AI known as “Ignis”, it works side-by-side with Homura! An Ignis like “Ai”, how will they interact!? Because he’s a rather hot-blooded character, even among the Ignis, I intend to give my all to playing this character. I think people will enjoy seeing him confront enemies alongside his partner, Homura Takeru. A mysterious Duelist. Is friend or foe for Playmaker and his allies!? When I was a kid, I aspired to become a mangaka at Jump. Since then I’ve given up on my dream of breathing life into manga with a pen, but I want to breathe life into stories with my voice. And this time, it’ll be for the famous “Yu-Gi-Oh!” franchise. There’s something special about that. Please look forward to Bowman, as voiced by myself, Matsuda Kenji. A mysterious boy who works with Bowman towards a certain goal. Is it possible he holds the keys to the new storyline!? * This character’s name can be either as read as Haru or Hal. The former is likely, but the later can easily be a reference to HAL of A Space Odyssey, which isn’t unlikely with the body of fiction Yoshida Shin, the show’s script supervisor, is known for tapping.